We are manufacturing & supplying of Instrument Transformers . The Instrument transformers are high accuracy class electrical devices used to isolate or transform voltage or current levels. The usage of instrument transformers is to operate instruments or metering from high voltage or high current circuits, safely isolating secondary control circuitry from the high voltages or currents. We provide a range of potential transformer that is known for supplying precise voltage for the meters. These potential transformer are extensively used for billing industrial clients or utility companies. The potential transformer are specially designed and developed for their application on systems. We offer a range of auto transformers that are widely used in different power applications. These are used for interconnecting the systems functioning at different voltage classes. Further, these auto transformers are mostly used to offer conversions between the common domestic mains voltage bands e. G. (100-130 and 200-250). 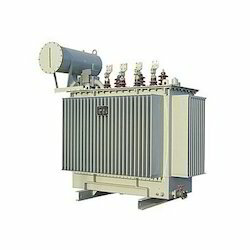 Moreover, the auto transformers also finds applications on long rural power distribution lines. Fitted with automatic tap-changing equipment, these transformers are inserted as voltage regulators. It is helpful for the clients at the far end of the source to get the similar voltage as those closer to the source. We offer a range of Isolation And Ultra isolation Transformer that are mostly used for decoupling of two circuits. It assists in shifting the power from one signal to other to without connecting the two circuits electrically. The perfect role of our range of isolation transformer is to use as power transformer and safety precaution. However, the bonding is eliminated completely, in the case of an isolation transformer.